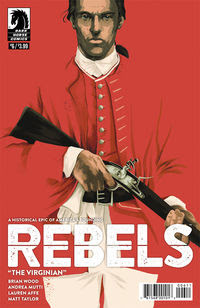 With Seth Abbott's story winding to a close, and with three more issues left to go, Brian Wood's historical comic Rebels now shifts over to a trio of self-contained short stories. These short works often present Wood at his very best - as seen not only the previous volume of Rebels but also the likes of The Massive and Northlanders. This issue does not disappoint. It focuses on a young George Washington leading a group of soldiers on a reconnaissance mission. When he stumbles upon an English fort that has been taken by the French, he disobeys orders and decides to retake it by force. The George Washington presented here is not the noble founder of the United States that we usually see. Here we see an arrogant young military leader with a poor respect for command, a lack of interest in his men's safety, and a casual disregard to any arrangement or promise made to indigenous peoples in the Virginia area. Andrea Mutti's artwork is beautifully composed and illustrated, but it is Lauren Affe's colours that richly bring the story to life. 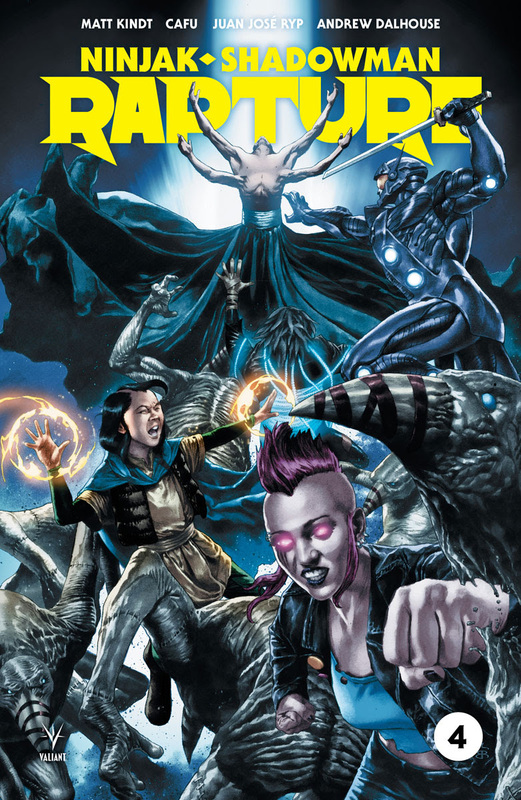 Rebels #6. Dark Horse. Written by Brian Wood. Art by Andrea Mutti. Colours by Lauren Affe. 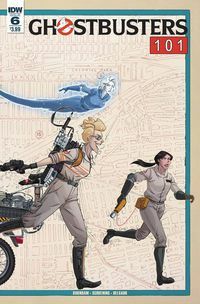 Under the cut: reviews of All-Star Batman, Ghostbusters 101 and Rapture. DC Comics. Written by Scott Snyder. Art by Rafael Albuquerque. Colours by Cris Peter. IDW. Written by Erik Burnham. Art by Dan Schoening. Colours by Luis Antonio Delgado and Anne Chher. Valiant. Written by Matt Kindt. Art by Cafu and Juan Jose Ryp with Francis Portella. Colours by Andrew Dalhouse.